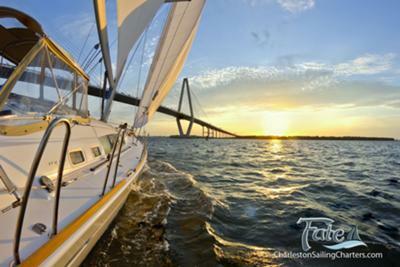 Charleston Sailing Charters "Fate Sailing Tours"
Sailing in the Charleston harbor is a year round adventure. Why not enjoy this opportunity on Charleston’s finest 50ft private air conditioned luxury yacht "FATE". Enjoy the sights of this beautiful city from historical landmarks to a wide variety of wildlife as you relax and feel the ocean breeze, all while your professional captain and mate take care of everything else. All of our luxury tours are private. A set limit of 6 passengers not including crew, guarantees a great experience without crowds. We offer hourly, daily and nightly rates with overnight trips for up to 4 passengers. Catering options are available for lunch or dinner cruises. With a five star rating on TripAdvisor you can be sure that you will have the best time possible on the water! 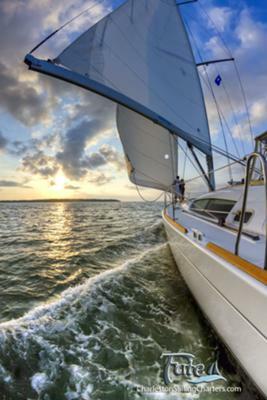 Make your reservations early as we book up months in advance but last minute tours are sometimes possible so give us a call and lets go sailing! 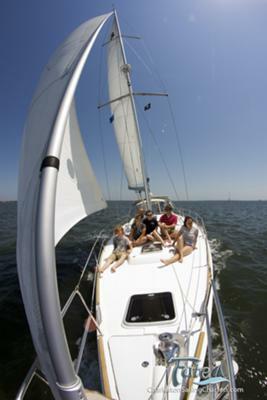 For more information visit www.charlestonsailingcharters.com.